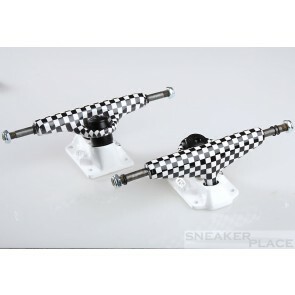 Skateboard trucks are a popular replacement part for Skateboards. These are available in various types, designs and colors. The axes are supposed to eventually match the respective skateboard. Whether plain, lined or composite. We can fulfill your every wish! 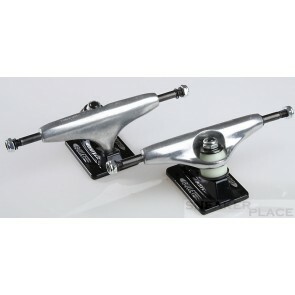 Skateboard-Trucks, Longboard-Trucks buy online in our Skateshop Rollsport.com. Axes for the skateboard are increasingly important. Buy online now in our skateboard shop and let us deliver the goods directly to your home. We have a wide selection, in which also determines the place for you here. The sets consist of either one or two axes.